DAWSON, SAMUEL EDWARD, businessman, publisher, author, and civil servant; b. 1 June 1833 in Halifax, second son of Benjamin Dawson and Elizabeth Gardner; m. 16 Oct. 1858 Annie M. Bent in Saint John; d. 9 Feb. 1916 in Westmount, Que. 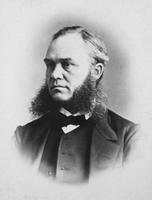 Samuel E. Dawson’s paternal grandfather was an Irish officer in the British army who settled on Prince Edward Island. There his son Benjamin was born and educated, but by the late 1820s Benjamin had moved to Halifax, where he operated a bookstore. Young Samuel is said to have attended McCulloch’s school, probably the evening classes taught by Thomas McCulloch*, president of Dalhousie College. In 1847 Benjamin took his family to Montreal, and purchased the bookstore and the newspaper and periodical agency of Robert Walter Stuart Mackay*. Under the name Benjamin Dawson and later as Benjamin Dawson and Son, the firm sold books and stationery and conducted a circulating library. As it prospered, it moved; in 1860, the year Benjamin retired, it was located on Great St James Street (Rue Saint-Jacques Ouest). The firm was reorganized as Dawson Brothers, a partnership between Samuel and his brother William Valentine. Over the next 29 years they expanded their activities, acting as publishers, bookbinders, and news agents. They opened a branch bookstore on St Catherine Street East (Rue Sainte-Catherine Est), which Samuel managed. Their stationery and blank-book factory was managed by William. In January 1889 the partnership was dissolved and Samuel left the firm. William and his son Charles F. sold the bookstores and concentrated on the manufacture and importation of stationery supplies. Incorporated as W. V. Dawson and Company in 1900, the business continued into the 20th century. During his years as a bookseller, Samuel Dawson had involved himself in other business ventures. He was a founder of the Dominion Note Company in 1879 and, with Andrew Scott Irving*, was one of the incorporators of the Montreal News Company the following year. He served on municipal and provincial organizations, as a member of the Protestant Board of School Commissioners of the City of Montreal, as president of the Council of Arts and Manufactures of the Province of Quebec, and as secretary of the Art Association of Montreal. 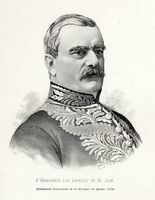 After he left Dawson Brothers, the federal Conservative government of John Joseph Caldwell Abbott* appointed him queen’s printer on 7 Nov. 1891 with the rank of deputy minister. He received this patronage appointment partly for his services to the government and partly in the hope that he would be able to clean up the inefficiency and corruption that had been rife in the Department of Public Printing and Stationery under Brown Chamberlin. Dawson immediately improved working conditions, updated equipment, and rationalized the department’s accounting system. He retired from the position on 30 Nov. 1908 at age 75. Long before his appointment as queen’s printer, however, Dawson had a reputation as a respected bookman through his prominence in trade organizations. He served as first vice-president of the Canadian Booksellers’ Association, which was founded in March 1876 by Ontario and Quebec booksellers. 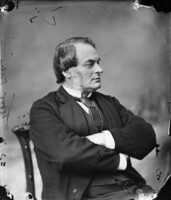 The association opposed the monopoly exercised by the Ontario government’s depository [see John George Hodgins], which purchased books and equipment at low prices for resale to schools and other institutions. It was especially critical of the depository’s large discounts to Sunday schools, mechanics’ institutes, and certain professionals and students. In the same decade Dawson emerged as an expert on international and Canadian copyright. In 1872 the Conservative government of Sir John A. Macdonald* introduced the Canada Copyright Act, which allowed Canadian printers to reproduce foreign works without the authorization of the copyright holder. The act favoured printers [see John Lovell*] at the expense of authors and it was declared ultra vires by the British government. 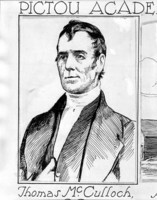 The Liberal government of Alexander Mackenzie* prepared a new bill, for the framing of which the minister of agriculture, Luc Letellier* de Saint-Just, relied on the advice of booksellers such as Dawson. The Act respecting copyrights (1875) protected the rights of authors and publishers and it received the approval of the British book trade and the Colonial Office, which was the only way copyright legislation in Canada could be successful in the 19th century. During the 1880s Canada was drawn into the negotiations over international copyright as the British and Americans searched for a reciprocal agreement. In 1880 Dawson accompanied finance minister Sir Samuel Leonard Tilley* to Washington as part of the first Canadian delegation to attend an international conference on the subject. Two years later Dawson delivered an address to the law faculty of Bishop’s College, Lennoxville, on the complex aspects of international copyright and he subsequently issued his speech as the pamphlet Copyright in books . . . (Montreal, 1882). Thereafter he was a correspondent for both Publishers’ Weekly (New York) and Publishers’ Circular (Croydon, England) on the discussions that resulted in the Berne Convention (1885) on international copyright protection and the Anglo-American Reciprocal Copyright Agreement (1891). Meanwhile, at home he became vice-president of the Canadian Copyright Association, founded in 1888 to oppose the implementation of the Berne Convention in Canada. An influential group of printers and publishers believed that the Berne Convention and the Anglo-American agreement would permit American and British firms to ship their books into Canada and ultimately destroy the indigenous trade, which had already been battered by economic recessions. 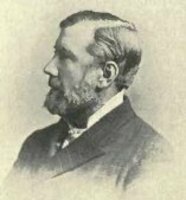 In 1895 Dawson was a delegate to a conference on copyright held in Ottawa, attended by representatives of the British and Canadian book trades, such as John Ross Robertson. A bill was agreed upon, but it never got to parliament. Ultimately, the search for compromises to keep the Canadian market from being a battleground between competing American, British, and Canadian editions resulted in 1900 in the Act to amend the Copyright Act, which opened the way for the publishing by subsidiaries of British and American firms that would become prevalent in English Canada in the 20th century. Samuel Edward Dawson produced a great number of books, articles, essays, and addresses. A lengthy, though not comprehensive, listing of his writings is available in the National union catalog; numerous works also appear in the CIHM, Reg. Many articles and speeches not cited in these catalogues can be found in the bibliography of Dawson’s writings published in RSC, Trans., 1st ser., 12 (1894), proc. : 30–31. Can., Parl., Sessional papers, 1892, no.16d. Canadian Booksellers’ Assoc., Report of the proceedings of the first general meeting . . . with the constitution and by-laws then adopted (Toronto), 1876. Canadian men and women of the time (Morgan; 1898 and 1912). “Chat of the trade,” Books and Notions (Toronto), 5 (December 1888): 85. “Dawson’s ‘Ninety years in the making,’” Quill & Quire (Toronto), 3 Jan. 1937: 15. Directory, Montreal, 1848–77. An Island refuge: loyalists and disbanded troops on the Island of Saint John, ed. Orlo Jones and Doris Haslam (Charlottetown, 1983). The mercantile agency reference book . . . (Montreal), 1882. “100 years in business,” Quill & Quire, 12 Nov. 1946: 34–35. G. L. Parker, The beginnings of the book trade in Canada (Toronto, 1985). Gordon Roper, “Mark Twain and his Canadian publishers: a second look,” Biblio. Soc. of Canada, Papers (Toronto), 5 (1966): 30–89. RSC, Trans., 3rd set., 10 (1916), proc. : vii–x. The storied province of Quebec; past and present, ed. William Wood et al. (5v., Toronto, 1931–32). George L. Parker, “DAWSON, SAMUEL EDWARD,” in Dictionary of Canadian Biography, vol. 14, University of Toronto/Université Laval, 2003–, accessed April 20, 2019, http://www.biographi.ca/en/bio/dawson_samuel_edward_14E.html.